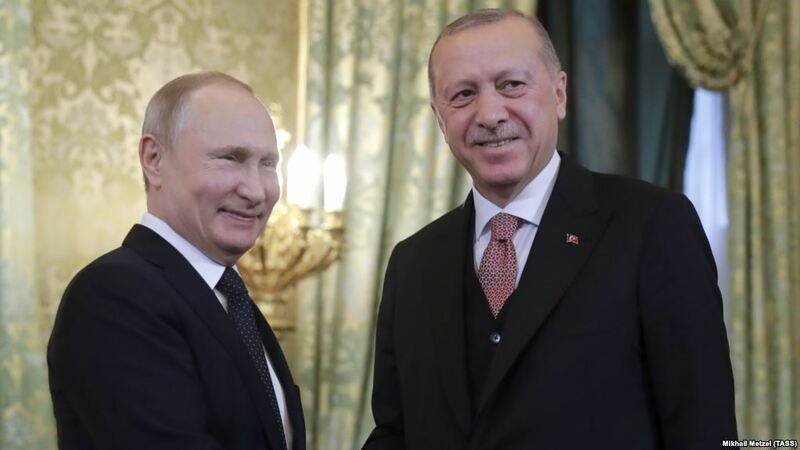 Erdogan: "We'll get the S-400, that's our sovereign right"
For the third time in 2019, Vladimir Putin met with Recep Tayyip Erdogan, and while they agree on all issues, disagreements remain over Syria, and especially concerning the developments in the Idlib region. However, everyone’s attention was focused on the S-400 anti-aircraft missile system during the meeting of the two men in Moscow, within the framework of the Russian-Turkish Cooperation Council. “The third countries that are telling us what to do, are not asking us when they are to make agreements in the energy or defense fields. As far as S400 are concerned, we have the road map. We’re going forward. Those who make recommendations to us to cancel the deal do not know us well. We signed an agreement, and no one can ask us to cancel it. It is our sovereign right, as we are independent and the sovereignty is that of the people”, Recep Tayyip Erdogan said, essentially excluding any possibility of canceling or postponing the S-400 order. Vladimir Putin also spoke about the possibility of transferring and delivering other Russian weapons systems, which is surprising. “It is a priority for both countries to complete the agreement on the delivery of S-400s in Turkey. In our agenda with Turkey there is also the issue of transferring other Russian weapons systems”, the Russian president said. The two leaders have defied the US warnings to Turkey and proceed with the S-400 agreement, showing no signs of backing down. Erdogan said the construction of the Akkuyu nuclear power station is proceeding, while Putin stressed that the first nuclear reactor built by Rosatom will be ready in 2023, coinciding with the 100th anniversary of the founding of the Republic of Turkey. The Akkuyu nuclear power plant is the largest foreign investment in Turkey and is being built with Russian funds of USD 25 billion. An important area of cooperation of the two countries is tourism, and according to Erdogan in 2018 Turkey was visited by 6 million Russian tourists. On the issue of the disagreement over Idlib in Syria, Putin has admitted that steps have been taken by Ankara under the Sochi agreement, but he has called for joint patrols and a more effective response towards the jihadists in the region. Erdogan reported that Ankara has taken all necessary steps, but both sides are concerned about the jihadists in the region. That is why the Russian president has stated that “in order for the issue of Syria to be resolved, the issue of Idlib must be solved first”.